This is known as one of the best Kodi addons available due to how long it has been around for and how often it is updated with new content. Find the Elysium Add-on and then click to install it. 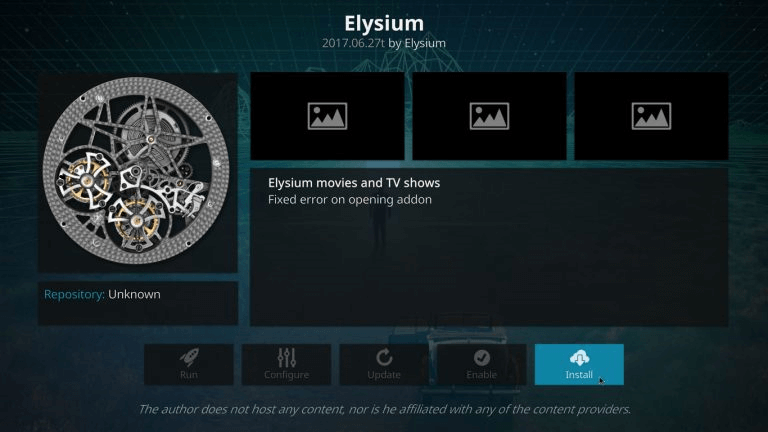 You can now go back to your main menu of Kodi and find the Elysium (Zen) plugin/addon under Video Add-ons. There you have it! You now have one of the best Kodi 18.1 addons of all time installed onto your device!